Learn how to simply create .SRT subtitles. You can create .SRT subtitle files with any text editor on your computer. 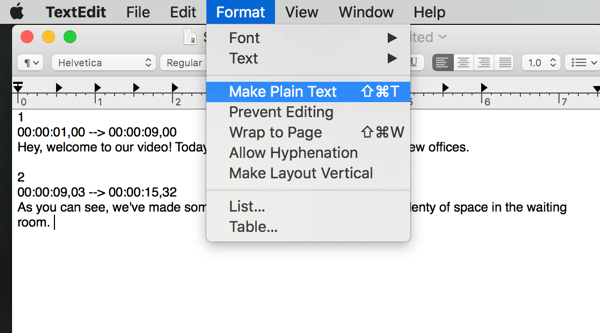 Notepad will work for Windows users and TextEdit for Mac. For more information you can visit our Video Player Features information page. Welcome to our video! Today we would like to show you some cool stuff. As you can see, we've made some big updates with plenty of amazing new features. Once your subtitle file is finished, convert your file to plain text (many text editors automatically have rich text set as the default) and then save it as an .srt file. If needed, change the “.txt” in the filename to “.srt” manually. Now that you have created your subtitle file you are able to add it to your on demand video.